Columbia MD Kitchen Renovation ! 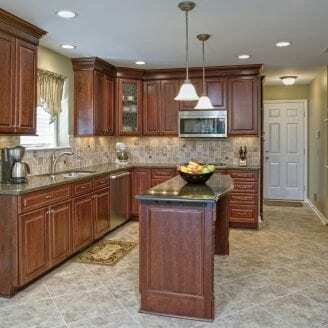 There is no doubt that the kitchen is one of the most important places in the home. Not only is it where food is prepared, it is also perhaps the only room that has the highest activity done on a daily basis. From the constant cooking to the washing and just general human presence, there tends to be a wear on the installations and fixtures overtime. It is also important that such a pivotal part of your house maintains a taste and style that resonates with the rest of the home. At Trademark Construct, we bring you the best quality of installations designed to make your kitchen worthy of the name. Our job is to bring you the bedazzling and resplendent interior that makes cooking a lot more fun! This particular project shown in the pictures required some major renovations done. 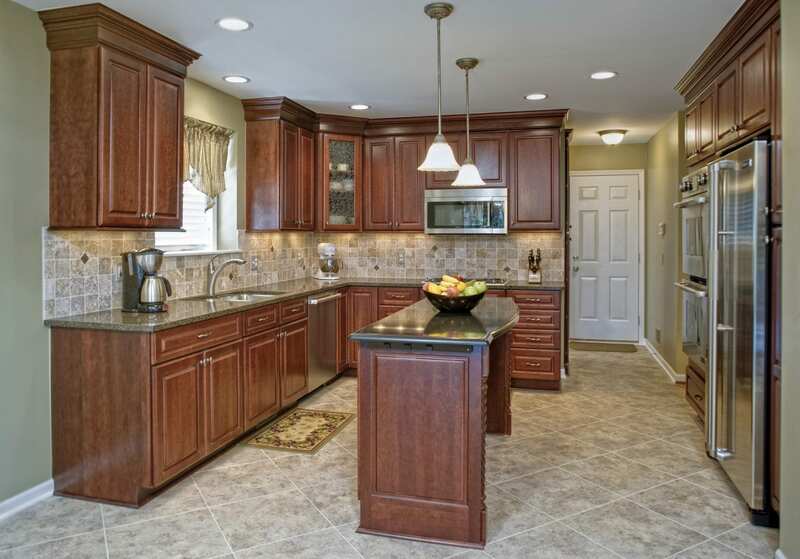 On this Columbia Md project, we used our Semi Cabinetry Line. 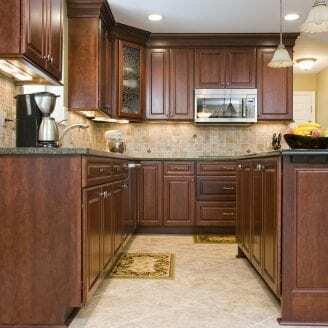 Our main focus was to Remodel the entire kitchen and replace the existing floors and countertops. 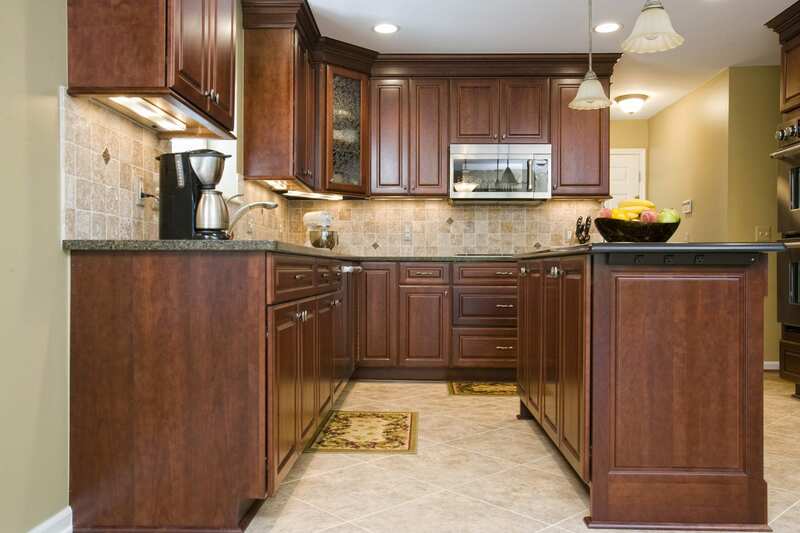 We used porcelain tile with tasteful designs and granite countertops. The entire project took around a month to be completed and was just as amazing as we envisaged. If you are located in Columbia MD and you are in need of Honest, trustworthy and reliable experts, feel free to give us a call 410-633-2308 or request a phone call by sending us a request here. We are always ready and available to meet and discuss your plans/visions for your bathrooms, kitchen additions and any other home remodeling requirements you may need. We are Trademark Construct and we always deliver!